NEW YEAR’S RESOLUTION WANING? 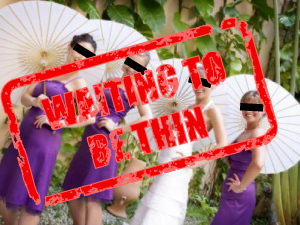 WAX IT WITH THONGDEE’S “WAITING TO BE THIN” OVER AT READ SHORT FICTION! It’s only a couple of weeks into 2012, and if one of your New Year’s Resolutions was to lose weight—but the only thing you’re losing is steam—then don’t miss Seenat Thongdee’s short story “Waiting to be Thin” at Read Short Fiction. This hilarious look at the daily “battle of the bulge” might be just what you need to get gaining on your goal again. We are especially pleased and proud that with “Waiting to be Thin,” Seenat makes her writing debut. We hope to see this fresh new voice grace many pages of many publications in the future. Posted on January 26, 2012, in Read Short Fiction, Short Stories and tagged diet tips, how to be thin, how to stick to a diet, keeping New Year's Resolutions, new fiction writers, Seenat Thongdee. Bookmark the permalink. Leave a comment.